My lovely wife and I hit up Las Vegas again last month for my 50th birthday. Naturally, there was a lot of good food - and a bit of not so good food. New on our list of places to try was Nacho Daddy, which is attached to the Miracle Mile Shops but only accessible from the street (that we could tell). This was the Vegas Golden Knights nacho platter. Very tasty. They serve a variety of other Mexican food, but we'd have to go back to try it as all we ate was this giant platter of nachos. 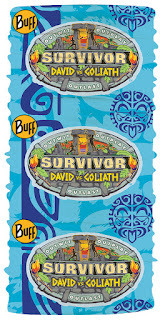 I came up with what I think is a cool concept for a new twist in Survivor that utilizes the Buffs - a staple of the game - as an actual strategic advantage in the game, if you can decipher the twist. I collated my thoughts into a Twitter moment. Regular readers of my blog (no one, shurely) know we bought a used camper van last year and gave up on our fun and wonderful but slightly wacky Rav4 car camping. We did a Mediterranean cruise! 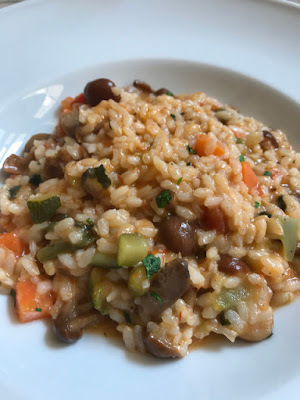 Because I am nothing if not slothful when it comes to blogging, my wife and I took an absolutely wonderful Mediterranean cruise in the spring. It may have been the most fun and successful vacation we have ever taken, which is saying something because we have never had a bad trip. We left from Barcelona and ended in Venice. In between we visited Monaco, Rome, Florence, Pisa, Athens and Croatia. The food and the scenery was all amazing and beautiful and absolutely lovely and I seriously have nothing to say about this trip. It was fantastic. Here's a sample of the approximately 10 million photos we took. So let's start off with the best thing we did there: have lunch at the brand new Hell's Kitchen restaurant on the grounds of Caesar's Palace. We booked reservations about six weeks before just after it opened. The lobster risotto was amazing. The brick pressed chicken was delicious. The beef Wellington was to die for. The sticky toffee pudding was a great cap to the meal. And we met Chef Michelle Tribble who won the most recent season of the reality TV show and who won the prize of being head chef at this new restaurant, who was very accomodating in the photograph request department. This was by far the most money I'd ever paid for a meal at a restaurant, but I can't say enough good things about it. Absolutely great food.